Everyone feels the effects of winter one way or another. Either the chilly temperatures drive you indoors or you have trouble adjusting to the shorter days, even as they begin to lengthen. For some, these effects are compounded by clinical depression and seasonal affective disorder (SAD). Regardless of the reasons why you find yourself suffering from the winter blues, there are self care activities that can help. Let’s take a closer look at what the winter blues are, how to counteract them, and self care activities that are easy (and relaxing!) to fit in during the holiday season. Why is self care so important in winter? Self care focuses on activities and downtime that you give to yourself. During the holidays, when so much time is focused on family and events, it’s even more crucial. As a pain patient not adding this time can lead to cumulative effects of stress. Over time, this chronic stress can have real effects on your health. Self care activities are even more important in winter. People who suffer from SAD, or seasonal affective disorder, are specifically affected by the turning of the season. Depression begins to set in as fall begins and continues until the days even out again near the spring equinox. It causes mood swings, a lack of energy, and feelings of despair. SAD is the most complex form of depression in the winter. People who suffer from it should not dismiss it as just the winter blues. It is normal for anyone to have days where they feel down, but one of the defining characteristics of SAD is constant depression during the winter months. SAD can be caused by a number of things, including a limited amount of sunlight that affects the body’s circadian rhythms and drops in serotonin and melatonin levels produced. How many people are affected by SAD? There are many risk factors for SAD. Women are more likely to experience depression in the winter than men, but when men have it, their symptoms may be worse. Young people are more susceptible to SAD in the wintertime. People with a family history of SAD or other symptoms of depression may also have more problems in the wintertime. SAD is also more common in people with other forms of clinical depression and the symptoms may be worse in the winter. It also depends on where someone lives. The further from the equator you are, the more likely you will be affected by the loss of sunlight during the day. In spite of these possible demographics, only about 4-6% of people are diagnosed with SAD in the United States. Of course, not everyone affected by the winter blues has SAD so it is important to talk to your doctor about your symptoms before making any changes in your diet, routine, medications, or lifestyle. You may need to apply a different approach to self care activities if you have SAD and clinical depression. Your doctor may suggest talk therapy, a light that mimics sunshine, or anti-depressants. Whenever someone suggests we relax or take a break, traditional methods of relaxation may spring to mind. While massages and vacations are lovely, they are not always practical in winter. When holiday stress hits its peak as the year begins to wind down, here are nine unusual way to relax. Who says playgrounds are just for kids? If you are feeling beyond stressed with holiday activities and demands, take some time out and head to the nearest playground. Sit on the swing and just let go. Remember what that feeling of flying felt like when you were little, when a friend or a parent pushed you higher and higher. Let the wind flow through your hair and turn your face to the sunshine. This is a break that can be had anytime you pass a swing set. No longer restricted to the under-seven set, adult coloring books are seeing a rise in popularity as a way to calm the brain. Coloring also increases creativity and helps relieve stress. There are specific adult coloring books that focus on mandala-like patterns or nature scenes. Some of the patterns take many days to complete. Return to your coloring book whenever you start to feel overwhelmed or frantic. This can also act as an adult “time out” if you find yourself snapping at your kids or getting cranky with your partner. The American Music Therapy Association has dedicated itself to promoting music therapy as a treatment for a number of different conditions including post-traumatic stress disorder, autism, and plain old stress and tension. You don’t really need to be able to sing or play any type of instrument to reap the stress-reducing benefits of music therapy. Spending a few minutes immersed in your favorite music can help relax and refresh your mind. There are many different ways to allow music to relax you. Put on your favorite dance music and let loose, all through the house. Do it when no one’s home so you can truly dance like no one is watching. The other option is to find your favorite soothing music, dim the lights, sit comfortably, and turn it up. Really listen, and let the music flow into your bones. Try to focus on the vibrations of each note. Tune in to the music to tune out stress. Puzzles can be amazingly relaxing even as they stimulate the problem-solving and logical parts of your brain. The best way to remind yourself to slow down and work on your puzzle is to keep it out, somewhere that is out of the way but in eyesight. When you pass by in a rush, the puzzle can be a reminder to slow down, sit down, and take some time for yourself. With the hustle and bustle of the holiday season, it may be impractical (in time and money) to visit a spa. If a bath and spa experience are what help you to relax, recreate the spa at home. Use Epsom salts and essential oils in the bath (instead of chemically-scented bubbles or fizzes), light candles, play soft music, and make some tea. Set out fuzzy slippers and a fluffy robe, and give yourself a manicure or pedicure when you get out of the bath. This is another adult “time out” that can help you to relax and refresh. Called abhyanga by those who practice ayurvedic medicine, self-massage is one way to relax deeply right before bed. Make sure your oil is warm and that you practice this massage in a well-heated room. Light some candles, add lavender essential oil to your base oil, and take your time with long, sweeping strokes. Take a hot shower after (no soap; let the oil absorb into your skin), slip in cozy pajamas, and fall asleep relaxed and refreshed. Also referred to as “yogic sleep,” yoga nidra is a deeply relaxing guided mediation practice. Practitioners often use yoga nidra to slide peacefully into sleep, but short sessions can be incorporated throughout the day. Some say that just 15 minutes of yoga nidra is the equivalent of a several-hour nap. You can download many free audio recordings of yoga nidra and play them on your phone when you have moments you would normally spend mindlessly surfing the ‘net. Sometimes what you actually do need is a little mindless entertainment. If your busy schedule has kept you away from Pinterest, Instagram, Twitter, or other forms of social media, taking a time out to play online can be just the thing you need to relax. Keep it light and fun; don’t get into Facebook arguments or Twitter wars. Look at funny videos, pin-teresting crafts – do something that you truly enjoy and don’t get enough downtime for. Watch inspiring, soothing videos on Instagram or funny videos on YouTube. Again and again research has shown that nature is a great antidote to stress. You don’t have to hike the Pacific Crest Trail or even break a sweat to reap the benefits of being outside. Just a few daily minutes outside, in a greenspace or on a forest trail if you are lucky enough to live close to one, is enough to calm the mind the and rest the spirit. Incorporate a walk outside into your day, rain or shine. If you don’t have green spaces nearby, holiday lights are another antidote to winter sadness. Dress in warm layers, bring a mug of hot chocolate, and stroll your neighborhood to take in the display of lights. It might be hard to get out into the cold when winter hits but exercise can help blast the blues away. Exercise relieves stress, increases endorphins that provide a sense of happiness, and help you get fit. If it’s too cold outside, join a gym with a heated pool, get a treadmill you can squeeze into a spare bedroom, or walk an indoor mall and take in the lights. If you suffer from SAD and chronic depression, it is important that you follow your doctor’s treatment plan to help you cope with the short, dark days. This may include light treatments, medications, or counseling. Reach out to your doctor for their guidance. Focus on healthy foods: Skip processed and sugary foods and replace them with complex carbohydrates, fresh fruits and vegetables, and drink plenty of water. Without the right nutrients, your body will become even more sluggish. Take advantage of the sun: Our bodies get vitamin D from the sun. In the winter it may be harder to take advantage of sunlight hours because of various work schedules and the chilly winter air. Get outside as much as possible and keep your window shades open to let sun into your house as you can. Don’t drink your feelings: Alcohol is a depressant so while drinking at home might sound like a great idea when it is cold outside, it can also backfire. Responsible drinking is fine for most but avoid binge drinking, which is defined as five or more drinks in one sitting, to keep from feeling worse than when you started. Look for the positives: Winter isn’t all bad. Yes, the weather can get you down and the lack of leaves on the trees can feel depressing, but that isn’t all there is to it. Winter can be majestic and magical if you look for the right things. Find a winter activity that you can only do this time of year to enjoy the season. Get social: Friends are one of the best support systems to help defeat the winter blues. Plan social activities into your weeks. Also, create a network of friends and family members who understand your seasonal depression and will help when you ask. Get the right amount of sleep: For many people who are battling various levels of depression, sleep patterns get disrupted. Try not to oversleep, which is very common in the winter. And try not to get too little sleep either. Try building a routine, meditating, or taking supplements to help regulate your sleep cycle. If you experience seasonal affective disorder, or notice that winter blues are increasing your pain levels, it’s important to get help. Self care activities can and should be part of your treatment approach but they are usually complemented with other therapies. Your doctor can help you find a comprehensive treatment program that works for you. 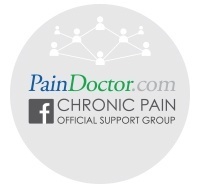 If you suffer from chronic pain, you can find a pain doctor in your area by clicking the button below or looking for one in your area by using the tips here: https://paindoctor.com/pain-management-doctors/.